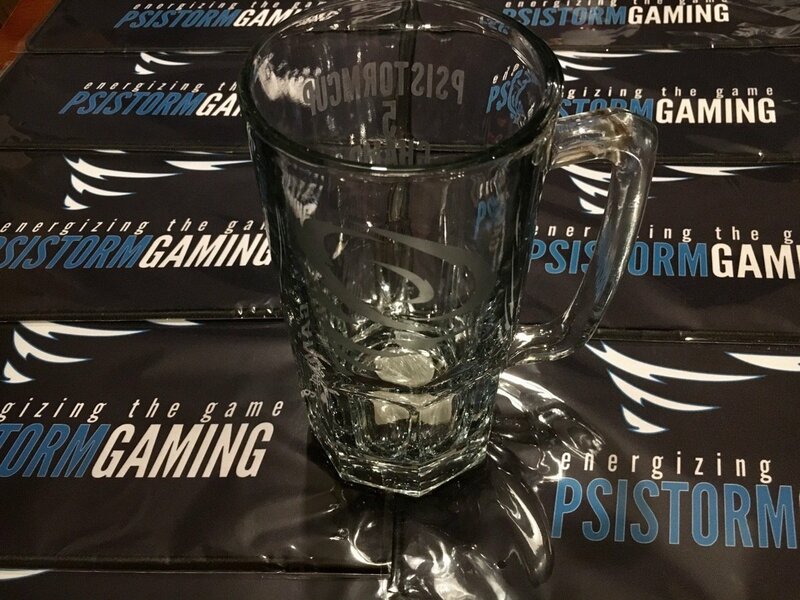 The 22nd of April, we held the fifth edition of PSISTORM Cup. It was a great success! With 42 initial participants, although KJ had to drop out to help manage the event bringing the total to 41, equaling our record attendance from PSISTORM Cup 2, it was nearly 11 hours worth of fun. You can read team owner’s KJ breakdown here. Despite some early technical issues probably caused by some old software, Gauntlet were able to host and cast some of the game’s relatively smoothly. As always, we had a rotation of players at the event to cast, including team owner KJ, ZombieGrub and xKawaiian. New to this event, after a little Twitter banter, KJ announced a $200 USD prize lovingly called the “Pokebunny Charity Prize”. The prize will be awarded to the best player according to a vote by the attending players and it cannot be TRUE. The prize was awarded to EndOfLine during the traditional KBBQ supper after the tournament. With the usual names of the NA east coast scene, like Creature, Pokebunny, Tesla, CalebAracous and WarreN attending, it was set to be an interesting event. Defending champion Raze attended as well, eager to defend his Cup (the trophy is a cup, a laser engraved beer mug). We actually had a tie in the 8th-9th position, with Tesla and CalebAracous. They played a Best of 1 to decide the tiebreak and the final player in the Ro8 playoffs. Tesla was able to eek out a win following an aggressive second base followed by swarm hosts. Surprising many, WarreN was able to take a series off TRUE in the last round, forcing him into 2nd place. Surprising many more, PengWin was able to hold 4th place with a respectable 5-1 series score. In the playoffs, we had seed 1 face off against seed 8, seed 2 vs. seed 7 and so on and so forth. The Sloth E-Sports Terran Pokebunny took down his teammate Tesla 1-2 in a close TvP. PengWin took out FuturE in a clean 2-0 with some cheese mixed in. The Swiss Zerg then had to face Pokebunny, in a surprising upset, he was able to win the series with a cheesy 2-1. When it mattered most, the Swiss Zerg played his queen/baneling/speedling 6 overlord drop into Pokebunny’s main, destroying his army, his base and his chance at getting into the finals. On the other side of the bracket, tournament favorite TRUE tore through the opposition without dropping a map to MygraiN and previous PSICup champion Raze. While Raz took out our very own WarreN 2-1. In a very quick finals, TRUE simply outclassed his manager PengWin 3-0 with superior micro and ling/baneling early game shenanigans. Taking home (back with PengWin actually) $500, TRUE and most of the participants who stayed till the finals went to eat at a KBBQ place, as is tradition after a long day of StarCraft. Thank you for all those who came by and we hope to see you at another event!